At Google we're passionate about using technology to open up data and make it more useful, and we hope the Campaign Explorer will help do that for some election data. We're thrilled to partner with CNN to make this possible. 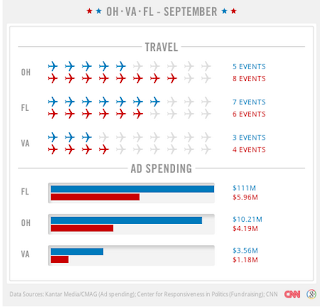 CNN brought a wealth of campaign information and years of journalistic expertise, and we made use of the latest web technologies in HTML5 to present this data in a new and engaging way. Be sure to share your snapshots on Google+ and mention +Google Politics & Elections and we'll reshare the most interesting. You can learn more about what we're doing for the US election and others worldwide at google.com/elections. Election Day in the United States is just three weeks away and campaigns at all levels are ramping up for the home stretch. With Election Day just around the corner, there will be an increased barrage of campaign ads, fundraising requests, and visits from the candidates. Today, in collaboration with CNN, we're launching the Campaign Explorer to help you make sense of it all. Everything you have described is superb. I just want thank you for sharing the beneficial information about wired alarm price. Please keep sharing more information.